Last year was my first attempt at onions from seed but they didn't work out. I started them inside way too late and plated them in the garden when they were too small. Our soil was too dense and the area they were in got muddy and they rotted early in the season. This year we are getting a soil test done and will add amendments to hopefully lighten the soil a bit and help with the water retention issue. I've got my seed starting stuff ready to go and want to give onions another try. I have Walla Walla onion seeds. With most of my veggies I typically start them in seed starting trays (cells) and then transplant into plastic cups when they start to outgrow their cells. By the time they are outgrowing the cups it's time to go into the garden. With onions being root vegetables I wasn't sure if they'd deal well with being transplanted twice-once to the cups and once to the garden. What do you all think? Am I better off planting them in a larger container from the start? I also have a question about lighting for them. I know onions use length of daylight to determine when to bulb. I will be using long day onions. With all of my other seedlings I typically turn my grow lights on when I wake up and off when I go to bed which means they get about 16 hours of light. I need to avoid this with the onion seedlings though, right? If they get that much light they'll bulb prematurely. I read they should only get about 10 hours of light as seedlings. Can the rest of my plants (tomatoes, eggplant, peppers, herbs, etc. which will be started in a few weeks) do well with such little light or should I put the onions under their own lights? Onions are actually leaf crop — the Bulbs are the base of the leaves. Anyway, their temperature requirement - in additition to the light period you already noted - is different from the warm weather crop like tomatoes and particularly peppers and eggplants. So it would be better to set up a different growing area. Even sunny but cold windowsill with supplemental light will be good since they would be better off in 40-50°F. They have fleshy deep roots and need 3-4 inches of soil. Leaves are delicate and easily bruised as seedlings so it’s is easier to grow them without transplanting. I have used 1.75 qt. ice cream tubs with good effect. Once they are older, And you have hardened them for a couple of weeks, the leaves will toughen up and roots will be thick and sturdy, and they can actually be untangled from each other with a little care by watering well immediately before planting them. I see better results with raised rows as opposed to flat ground since I have clay subsoil. ... you know, it feels a little late again, unfortunately. I would start planting onion starts with my potatoes in the first week of April, about 3 weeks before last average frost. I looks like your season starts about 2 weeks later, so maybe you would start planting around 3rd week of April. If you look around the forum, you will see that many of us have posted about starting onions from seeds, and spring started onions have not seen a great deal of success and satisfaction, especially in the northern, colder regions. It seems like onion seedlings/starts that grew for a long time, sometimes over the winter, in southern regions or in heated/freeze-free greenhouses have better potential for growing into large bulbs. In addition to trying to grow them from seeds, you may want to try purchasing some starts since WallaWalla is a popular variety and readily available. I like to order from Dixondales even though they are in Texas. They seem to know their business. I’m (sadly) actually not growing onions this year because I have had onion maggot infestation in the last couple of years and I’m rotating them out. This fall, you might also want to try starting onions to overwinter since Walla Walla is one variety that is supposed to be able to sustain 0-5°F winter temperature — see if you are up to building a protective tunnel or other structure, and find a more protected microclimate in your garden. I only had partial success with this a couple of years ago, since my tunnel collapsed/blew apart over the winter. If they still have it, Johnny’s also sells a hybrid variety called Bridger. I start onion seed in flats, doubled because of the weight and without inserts. If I was only doing a few, I suppose that something like cottage cheese cartons might be a good choice. It may be late but I have just come across some red bunching onion seed that went in the soil mix, yesterday. Yes, the flats are in our, so-far, unheated greenhouse and sowing of onions already out there was in the first week of February. Because of the cold conditions, they have made little growth. I should know more about this because I'm only about 200 miles north but I believe that all the onions grown in the Walla Walla Valley were sown in late summer. Trying that here with Walla Walla seed only worked well in one year out of 4, probably because of winter temperatures being too cold. The final year, I think all of the plants bolted in the spring. That's why I switched to the greenhouse start. Transplanting is somewhat difficult for me, perhaps because of my big digitS' . The damp seedlings go in well-loosened soil and I find it best to hold them one at a time between my index and middle fingers. The thumb isn't involved and I wear latex gloves. The seedlings are "scratched" into the soil. Thank you both for the help. I went ahead and started them yesterday and used an ice cream container like you suggested Applestar. I don't need a ton, we don't have a terribly large garden and we tend to plant a good variety so the ice cream tub was a good size. Hopefully it's not too late! But live and learn, we'll find out. The seed pack specifies when to start seeds in relation to the last frost (8-10 weeks before), are you saying it should be 8-10 weeks from plant out date rather than from last frost? I'm a strictly "grown from seed" person, with the exception of potatoes. The reward for me is seeing something I started from practically nothing turn into a thriving, healthy, productive plant. I personally don't actually care about the food that much other than that it's production indicates that I was successful. Except eggplant, I love me some eggplant parm. So I probably won't buy sets unless my dad wants them. We don't really have any cool area they could go, it's a condo so no garage or porch. We have a drafty bay window they could go in. What would you do for supplemental light in that case? I use fluorescent shop lights for my plants which obviously is a waste for a single tub of onions to be under by itself and it won't fit in on a window sill. 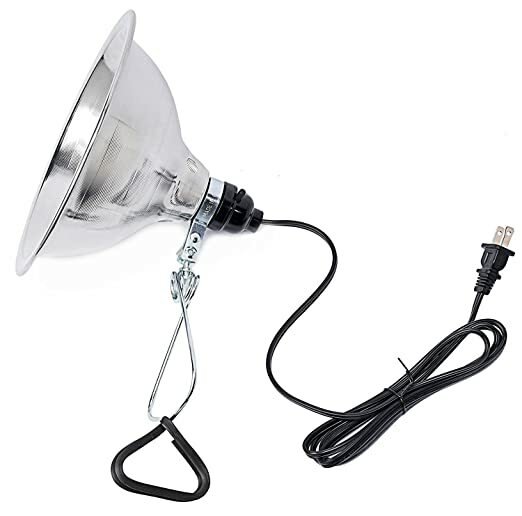 Are their lights that can fit in a desk lamp that would work? Would I want CFLs? I've never over wintered anything, but am going to give brussel's sprouts and maybe garlic a try this year if we can get the soil in good shape beforehand. This year we are probably going to have to add some stuff and till it before we plant (this will only be our second year, it was lawn prior to that). I have only short day onions but I only plant in the fall from seed as well. I can't even get sets in the Spring where I live. I thought even where there is frost onions can be started in the fall. Let the tops grow until frost knocks them down, mulch and in the spring they come up again and phosphorus fertilizer (bone meal) is given when it is time to bulb up. For me it means I plant onion seeds in the ground by October 25 fertilize with a higher nitrogen to maximize leaf growth through the colder months and give them bone meal now and harvest in May-June. 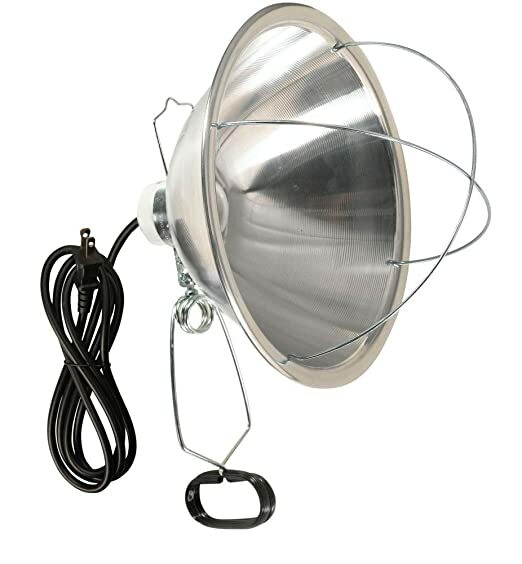 But I prefer 10 inch ones which you can get as chicken brooder lamp at farm supply and some hardware stores. I take the wire protector thingy off and use them for other purposes because they would keep the light bulb too far from the plants. In addition to the diameter, difference is the brooders sometimes/often don’t have independent on/off switch. But this usually doesn’t matter to me because I plug them in a timer or a power strip with on.off switch and turn everything connected on it on and off. From the seed to the crop but the bug is a red light! seed starting - how much water and how much light?